Fat, well rounded and well-constructed cigar. The wrapper is beautiful lite brown oily and has small veins on it. The pre light draw was “Perfect” brings sweet aromas of nut, wood, fruits and cool earth. The burn was almost perfect and the white gray ash holds very well. After a while toasting the foot the first few puffs were full of smoke, mild to medium in body with with some tobacco and pepper and hints of earth and coffee. Half of an inch down this fat guy woke up to start showing what it has, the body straight medium and the flavors profile is medium to full. A lot for things happening here; rich Cuban tobacco, earth, leather, roasted coffee and more pepper zing tangling the palate while the aroma is very sweet and floral. Still medium in body by the end of this third. After tapping the long ash and starting new chapter “third” found an increase in body and boldness in the flavors profile. More pepper and sweet spices join here and the core is cocoa” mocha” like flavor. At the half way point the body is upper medium and there’re some changes in the flavors profile. The mocha took the back seat and Smokey Earth, yet sweet to the core and hints of coffee tobacco, sugarcane and wood. We still in the Upper medium body while more pepper keep coming and cedar jumping around. A lot of flavors and hints with complex sweet profile end this cigar. It is not the most powerful cigar out there and that’s why most of the disappointed team didn’t like it. For myself I don’t really need a fire cracker every day and every occasion. Some times when you already had 1 or 2 cigars and you still need to light up you’ll know exactly what I’m talking about. So that’s why I’ve chosen it to be in my top 5. I´ve to disagree completely. I smoked a handful of those. Most boring release of 2011 (besides the Partagas D5). Weak, lacking flavor, loose draw. Without I wouldn´t guess it´s a Partagas. I´m no big fan of the big RG´s but there are some really good cigars also with a RG bigger than 50, but in my book this one is none of them. I´ll leave them on the shelves, there are much better Partagas out there. I definitely prefer a D4 or a P2. Interesting post.. Like I said earlier.. There seems to be more bad feedback than good when it comes to the E2. One thing most seem to agree on is the lack of consincy between boxes, I have even heard of inconsistency within a single box.. Very unusual of Partagas! However, I’ll be smoking 1 soonish just to compare notes.. So my feedback will be pending on these until then. Just tried this one for the first time last night. Expected great things, but fell short. The draw was exceptionally hard in the beginning and did not get any better. Struggled through the first one third, when I fired up another. The second one had a much better draw… excellent actually. 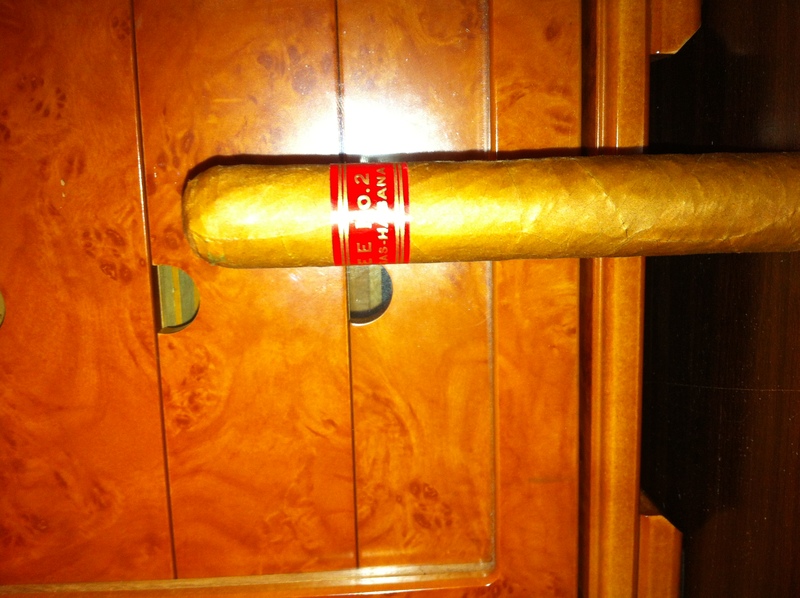 Unfortunately, the E no.2 was not the Partagas I look for in a cigar. I’ll stick with my P2’s. Glad to hear that you had another one. I like the p2’s however the case with most of the habanos nowadays is being hit or miss. Quality matters even with the most expensive ones.